Clean, well equipped house with free parking spots and high-speed WiFi. 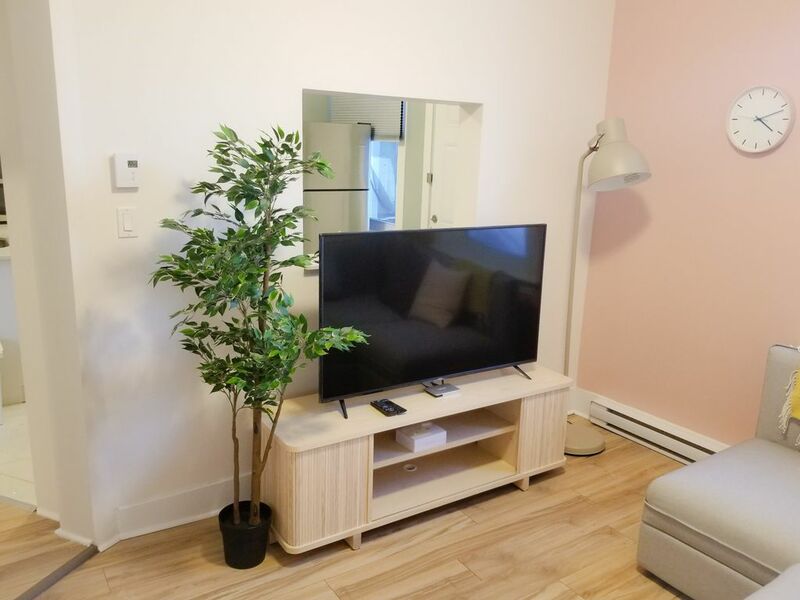 Situated in a central location in Ottawa surrounded by restaurants, bars, and walking distance to main transit stations and malls. Well equipped kitchen, laundry, and entertainment systems. Beds are outfitted with brand new, comfy mattresses and are wrapped around high thread count cotton so you can have a great night's sleep! Guest will have access to the entire home - you will not be sharing it with anyone. The home has a well-equipped kitchen, spacious living room, a 55" 4K TV Smart TV, bed sheets, shampoo, soap, and an abundance of towels. Wi-Fi is also extremely quick! I will be available at any point of the day to ensure you have the best stay. I've lived in Ottawa my entire life. Please do not hesitate to ask me for any recommendations! Also, there is no need for a key! The door is equipped with keypad for a quick, anytime check-in.